Check Out Clips From Today’s ‘Kings Of Con’ With ‘The Walking Dead’s Michael Cudlitz! Kings of Con takes over the south today in episode 8’s “Plano, TX.” Never a dull moment with Rob and Rich (Rob Benedict and Richard Speight Jr), our beloved “C-list” actors who tour the cons with humor, aplomb, alcohol, drugs, etc. The guests are the icing as usual. Check out the clips below. The boys just cannot help getting into hot water with their shenanigans! 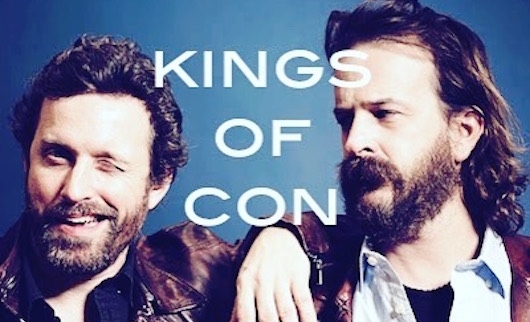 On today’s Kings of Con 1.7, Rob Benedict & Richard Speight, Jr., stars of their own show on Comic-Con HQ, and stars of cons in their own heads, find themselves with a very “hard” problem in Littleton, Colorado. Kings of Con debuted Tuesday on the new Comic-Con HQ channel, and boy, the laughs are delivered! This delicious little satirical nugget follows Rob Benedict and Richard Speight Jr. as caricatures of themselves. Their actor friends join the fun and play over the top as well. I got a chance to talk to Rob about his new show and a bit of other stuff. Check it out below. 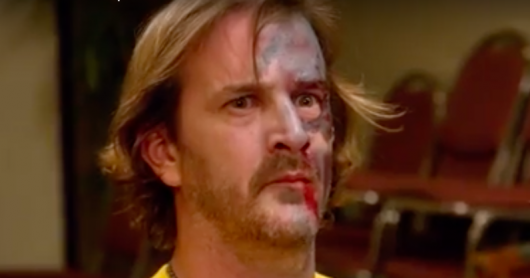 Directed by Richard Speight Jr.
Kings of Con is a crazy funny new show by Rob Benedict and Richard Speight Jr. of Supernatural fame, where they play caricatures of themselves touring the fan convention circuit, from the backstage point of view. Chock full of guest stars, and equally chock full of laughs, the guys poke fun at themselves and the antics that happen behind the curtain. Check out the awesomeness below.